Peter Martin: Really, really good news if you loved the 1970s. Casey's back! Really, really good news if you loved the 1970s. Casey's back! And in my city on 2CA in my city of Canberra of all places. But here's what's important. The original 1970's American Top 40s can be heard on line at 2ca.com.au from 4.00 pm each Sunday. The originals. Week by week. Endless summer. Endless 5KA teenagehood. Sure, there are US radio stations that broadcast it on line, but the broadband links to the US are generally limited to 2Mbps, which Conroy reckons is way too slow. (And Conroy's NBN won't change it.) Within Australia they are often much faster, which makes Canberra's own 2CA the best bet. 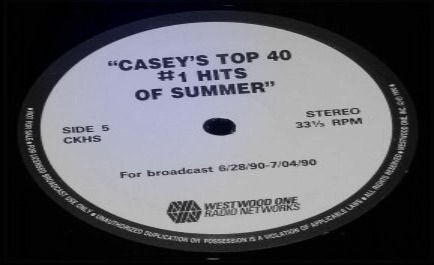 Want proof that I am a big Casey Kasem fan? 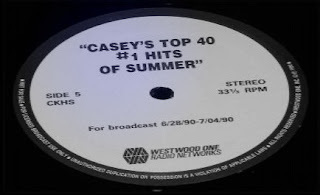 As I mentioned when he retired one of my proudest possessions is a boxed set of the LPs that constituted an actual Casey Kasem program, diverted by a 2SM staffer who knew how much it would mean to me. Here's the rundown from July 1984. Prince and Bruce Springsteen were at 1 and 2.